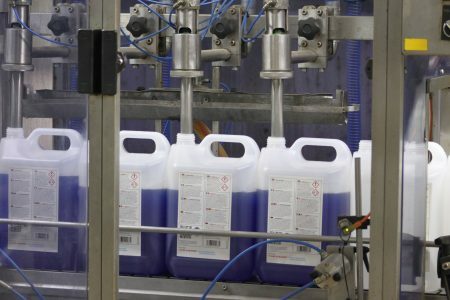 We have a purpose-built production facility with a liquid blending capacity in excess of 50,000 litres/day, plus in-line filling and labelling to manufacture your products. As a primary area of our current contract manufacturing business, we have invested significantly in our 15,000 square metre liquid blending facility and can cater for hazardous and low hazard products. 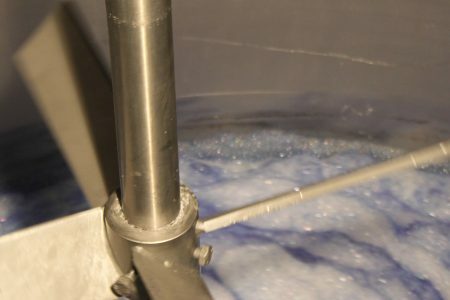 With over 20 mixing vessels ranging in size from 30,000L to 100L, both heated and cooled, we have the capability for simple paddle, contra-rotating, high shear and scraped surface mixing. Key raw materials are stored in bulk tanks, with some having heating facilities, down to essential active ingredients being purchase by the gram if required. Once products are blended to specification they are packed as required, either to bulk tanker or down to 30ml. We have a wide variety of fully and semi-automatic filling equipment to ensure fast and efficient production flow, whatever the run size, from 100 to 10,000+ on automated 4 and 6 head filling lines equipped labelers and cappers. Our clients are varied and cover a vast array of markets; consumer, industrial and B2B. Products we make include water treatment, aerospace, acid & alkali cleaners, surface treatment process chemicals, woodcare products, laundry care, bleaches, oilfield products, car care and products for building and agriculture.